As of October 15th ,2017, Emmanuelle Wargon has been appointed Senior Vice President, Corporate Affairs & Sustainability Integration of Danone. The ambition and responsibility of her role is to support the full integration of our sustainability achievements into business as key differentiation assets to create value; while continuing to build and protect the reputation of Danone through corporate affairs (internal and external communication, public and health affairs). 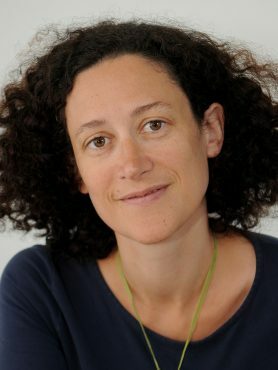 In this capacity, Emmanuelle leads the global articulation of Danone’s stakeholder engagement strategy, shaping the company’s positioning and advocating for the company’s points of view. As of September 15th, 2015, Emmanuelle WARGON has been appointed VP Corporate Affairs of Danone. She has responsibility for corporate communications (internal and external in a single consistent function) and for all aspects of public and external affairs, including our engagement with public authorities, as well as sustainability and scientific stakeholders. Emmanuelle has extensive experience in French government and administration. She was appointed auditor at the Court of Auditors in 1997, and promoted to Public Auditor in August 2000 and Counsellor in April 2013. She was appointed Technical Advisor, responsible for drug policy, to Bernard Kouchner, Minister Delegate for Health (2001-2002); and was then Deputy General Director of the agency for the safety of health products, AFSSAPS (2002-2006). She was then Deputy Director in the coordination and internal control of Public Hospitals of Paris-AP-HP, before becoming the Chief of staff of Martin Hirsch, High Commissioner for Active Solidarity against Poverty, from 2007 to 2010. She was Secretary General of the Ministry of Health, Social Affairs and Labour from 2010 to 2012, and most recently General Director for employment and vocational training. Quel principe de précaution dans un monde imprévisible ?